Save your clothes from mixed machine washing. 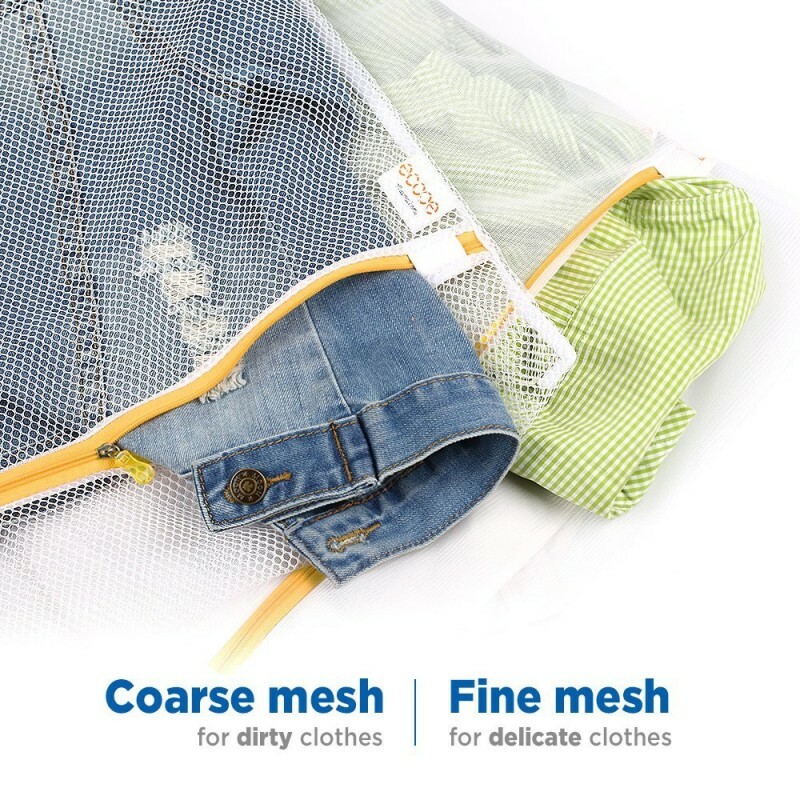 Braided with dense polyester mesh, the laundry bags are durable to protect your clothes from stretching, abrasions and corrosions, yet still breathable for through cleaning. The set comes in three mesh structures for different clothes: coarse mesh for sturdy and dirty clothes, fine mesh for your delicate ones, and an reinforced one for lingeries. 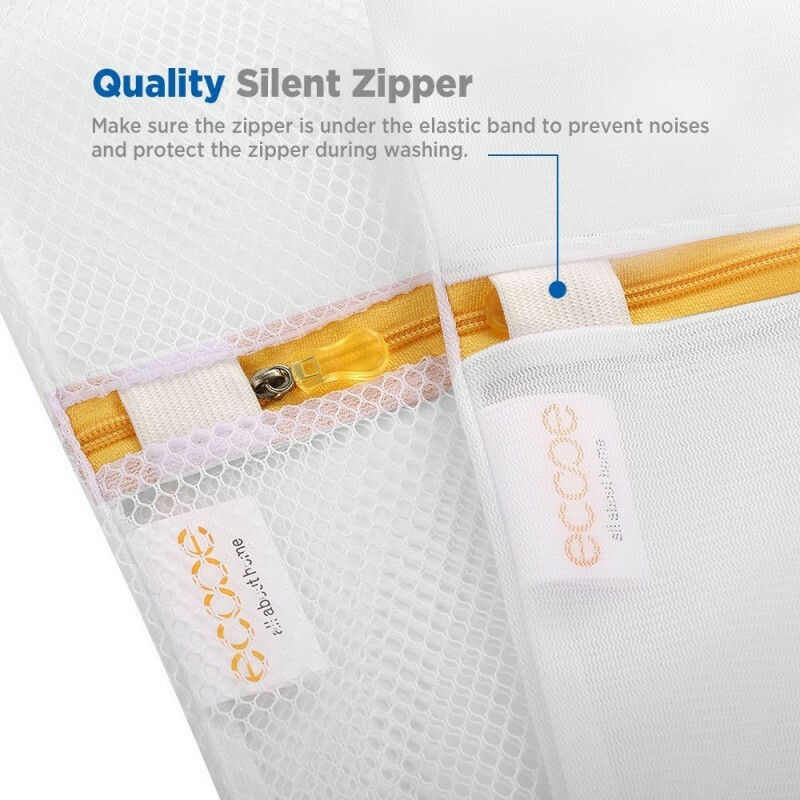 Refined zipper seals your mesh laundry bags easy and smooth. 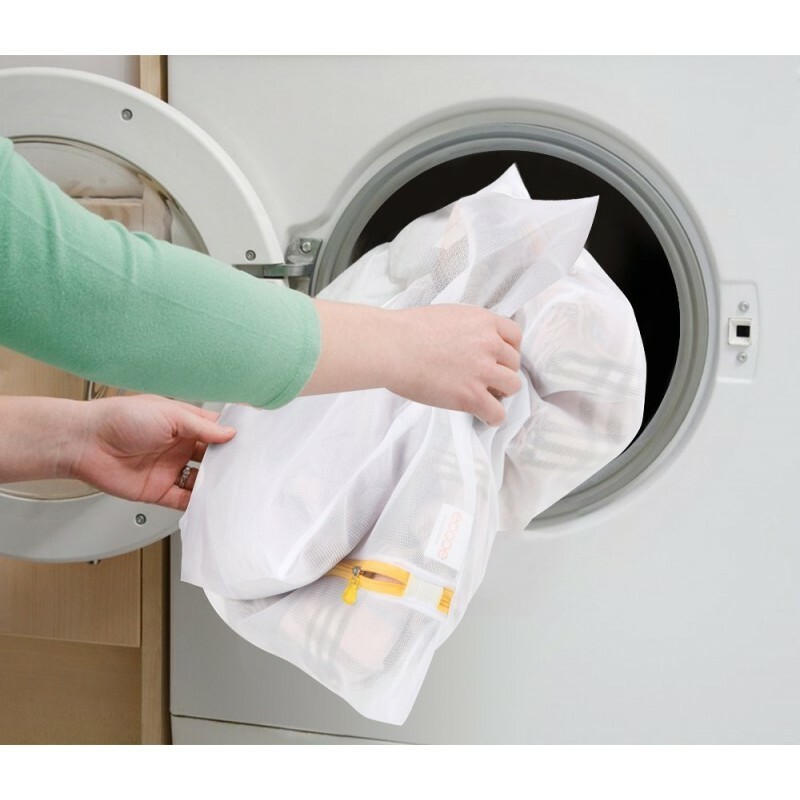 Hid in a small elastic band, the zipper barely produces noise or scratch other bags or clothes during machine washing. Excellent quality, great price, and a quick delivery too! These are the best laundry wash bags I have ever purchased. I love all the sizes. They keep my sweaters really nice in the wash. Great for tiny socks, scarves, etc. Great item! Will protect your washing machine from small things from getting in the washer drain. Good for keeping your laundry safe from snags and holes. They work well but I wonder how long the zippers will last. So far so good would highly recommend. it works. no complaints from wife and my job is done. Great sizes and work well. These things do their jobs. Of the zipper pouches I have used so far, I have been very satisfied with them. A very helpful feature is a band that the zipper can hide under once full zipped, so it won't come loose and open. Wonderful laundry bags. Haven't had them long so can't yet speak to long-term durability, but the mesh appears well made, the zippers are better quality than the dollar store versions, and the variety of sizes accommodates a range of items. The pricing is excellent, and I am very happy with the purchase. I really love these bags--I even bought two sets for my first purchase. They seem well made and I appreciate the quantity you get for the price. After use, I am not too fond of the bra bag --becuase it only holds B cups easily, but anything bigger seems like you're squeezing. I would have traded the bra bag for another small bag if that was an option. I am gifting a set to my mom. Bags were bigger than expected. I had purchased for laundering delicate under garments and they are big for that. Howver I have adapted, and they are perfect for my clothes that can go in the washer but not the dryer. I drop em in a bag and wash. THe bag reminds me that the item inside should not be dryed. (even stops my husband form helping and accidently drying something he shouldn't) I also have one of the larger bags on my toddlers hamper. I put sock in the bag so they are easier to find and mate at the end of the wash cycle. So while they weren't exactly what I wanted fro my original purchase. I do love them and have found lots of uses. Had issued but got correctly quickly. 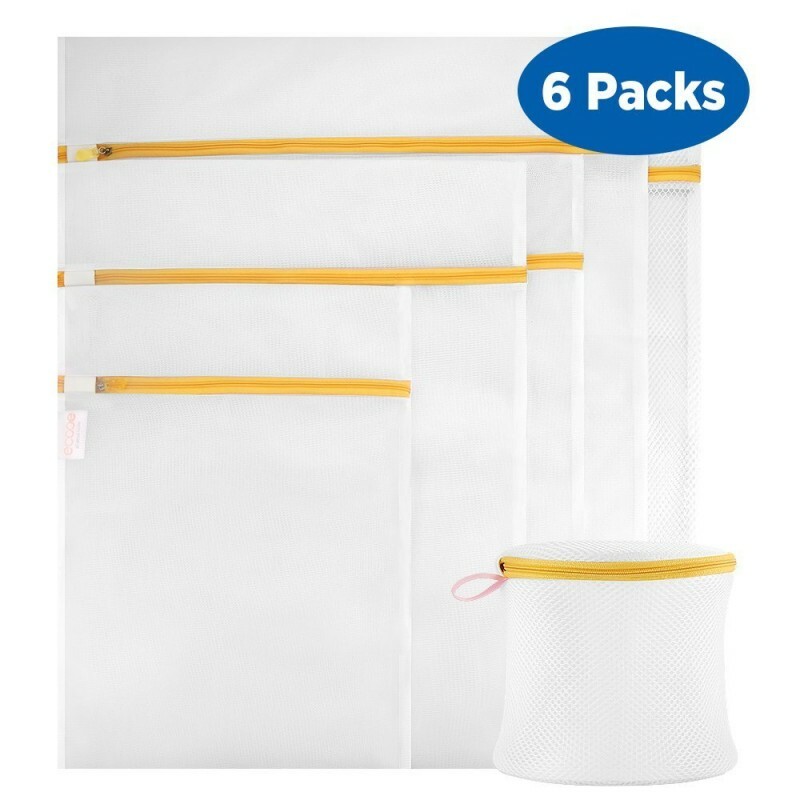 This laundry mesh wash bags zippers are very weak and not durable. Among the six bags, two of them zippers are already broken. Their zips split and can never close. I have other kind of laundry wash bags. Compare this with others, this one is very flaky. Very disappointed and cannot recommend. Updates: I just received a replacement set from the manufacture to replace the one I purchased earlier but broken. I really appreciate the seller stands behind their products and do all the way to correct and make improvement. Now I am updating the rating. This item and their seller have earned my trust back. Thank you! Well made. Have used only two of the bags so far and it appears to be holding up for now. I like the assorted sizes. Such a huge pack, since I am a full time blogger I was given the opportunity to test this product at a discounted price in exchange for my unbiased review. 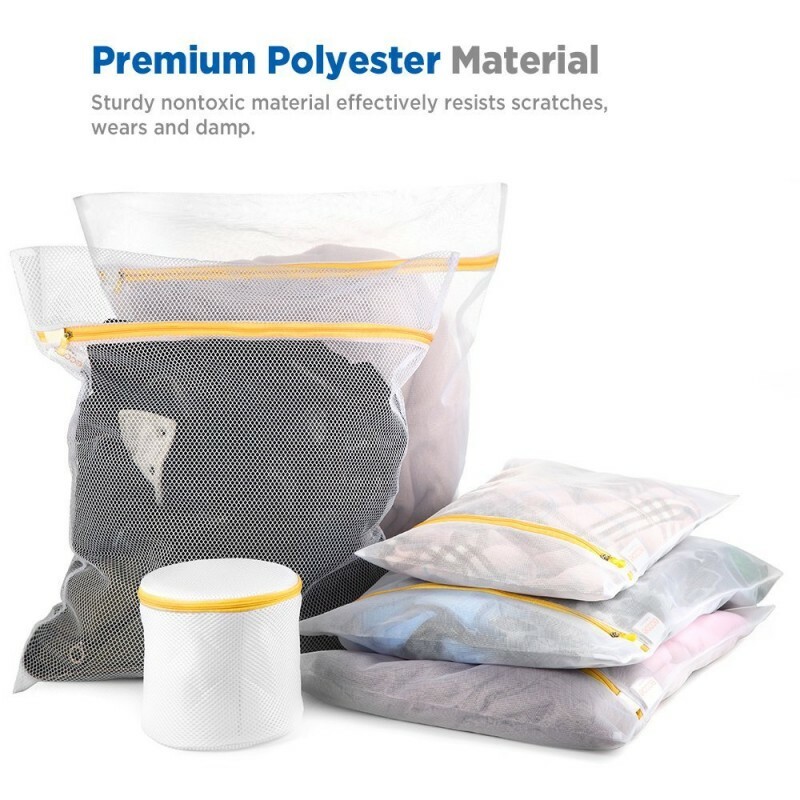 This comes with alot of bags and some of them are huge which is nice when you are traveling and you need to put your dirty clothes in a bag, it's also nice because you can separate you dry cleaning as well. I like the smallest bag because it is big enough to hold all the little bags. The quality of the bags are superb and will hold up for many washes. Over all very awesome product.